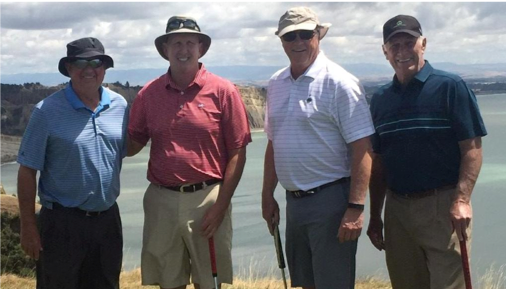 In February of 2017, Outpost Club members Glenn Garland, Russ Munsch and John Washburn, as well as their friend, Greg Reynolds De Haven played their final round, while on a golfing trip in Australia. A tragic plane crash, that took the lives of these wonderful men, left an impact on all of us. OC Co-Founder Quentin Lutz, said it very well, when he wrote “We are a family and it hurts when we lose even one member, but to lose them all at once and so suddenly hurts even more”. We remember Glenn, Russ and John as members, as friends and as people that you wanted to be around all the time. When you were with them, it was not only great fun, but their love for the game was so infectious it made you love the game that much more. As a small gesture, the Outpost Foundation has memorialized the foursome’s passion for life and the game by awarding an annual scholarship, in their honor. Although it will not be a requirement, we were pleased that the first recipient not only embodies the vision of the Foundation and shares Glenn, Russ and John commitment to community involvement and education, but also is a Texas native. Congratulations to Simon Hale, a recent graduate from the University of Texas at Austin and a current employee at Boot Ranch golf club in Fredericksburg, Texas. He is currently in his second year of medical school and noted that the Outpost Scholarship will make a tremendous impact in the financial burden that comes with professional school. We are confident that the work ethic that Simon displayed on the grounds crew will easily translate to his studies, and he will represent the Foundation proudly. Please join us for the Winter Charity Tournament, at Trinity Forest to tee it up in a tribute to Glenn, Russ and John. Format: Two best-balls of the foursome where ONE GROSS and ONE NET ball is counted on each hole (each score must come from two distinct players). Prizes will be awarded to the winner and runner-up teams. Trinity Forest may be the new kid on the block, but it has an old soul. Coore and Crenshaw have taken the best of their design elements from courses like Sand Hills Golf Club and have mixed them with the aesthetics of links golf resulting in a fun and challenging golf course that wouldn’t feel out of place in Scotland or Ireland. Coore and Crenshaw’s signature flourishes are evident throughout with gaping, unruly bunkers and several forced carries. Yet the linkages to the origins of the game are clearly present with the course featuring blind shots, a Postage Stampstyle green and with the Texas wind blowing, a golfer’s ground game will be put to the test. 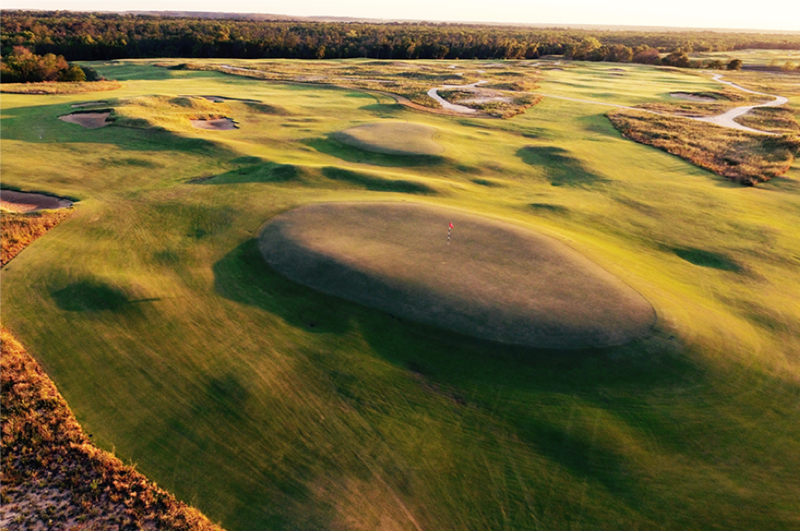 Trinity Forest Golf Club’s expressed intention is to bring major championship golf to the Dallas area and the layout is clearly designed with the pros in mind, maxing out at 7,450 yards and having enough space between holes to accommodate galleries. The course hosted to the PGA’s Byron Nelson tournament in 2018 and as it matures, will certainly give the USGA and the PGA championship committees something to think about. Trinity Forest is a must play for any fan of links golf or Coore and Crenshaw. Event fee to include: Green fee, buffet lunch, a light reception, alcoholic and non-alcoholic beverages, tee gift and awards. The double caddie base rate and gratuity are due the day of play and the suggested fee is $100 per player. Charity: The Outpost Foundation's primary purpose is to promote awareness and raise financial support for worthwhile charitable and educational causes in the United States through golf events and related activities. Funds raised will be contributed to an annual scholarship program to benefit our educational mission for need-based students. These annual scholarships will provide college tuition assistance to deserving students involved in the game of golf. Caveman - This category has to do with our relationship with Caveman Construction the construction arm of Hanse Golf Design. Hotels: Click here for a list of hotels near Trinity Forest available, November 12 - 14 and sorted by distance. ONLINE REGISTRATION CAN BE DONE BELOW. Please do not hesitate to contact events@outpostfoundation.org with any questions.